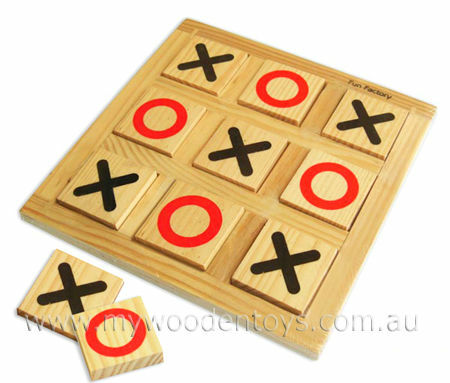 Simple Wooden Naughts & Crosses is a wooden variation on a much loved classic game. This set has a wooden frame with recessed squares to hold the pieces in place. This is a beautifully simple version made from solid pine. The chunky pieces are boldly printed in red and black. Size: Board is 19cm x 19cm pieces are 4cm x 4cm. We like this because: "Simple solid and fun. "